Rights occupy a strange position in global politics. On the one hand, they’re used by business and governments as a justification for globalization—if the spread of corporate capitalism also helps lead to improvements in human rights, then globalization must be good, right? At the same time, though, even those on the left who are skeptical of that discourse tend to hew to a belief in rights themselves, like the right to food, medicine, housing, free speech, assembly, and religion. How can these conflicting attitudes towards rights be reconciled? Radha D’Souza lays out the problem and the solution in this book, applying legal thought to human rights to bridge the gap between rights in the abstract and their institutional context. Through close looks at real struggles, D’Souza shows how the left around the world can develop new strategies and tactics to achieve the goals embodied by rights discourse without giving cover to globalization. 2. 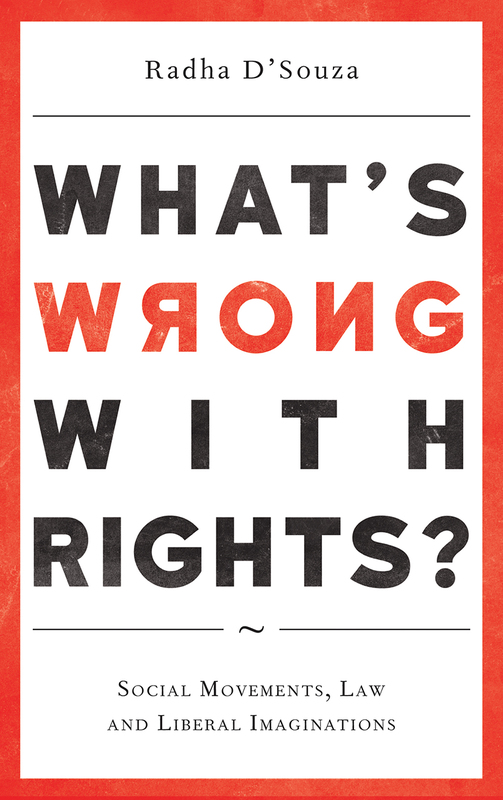 What’s Wrong With Rights?